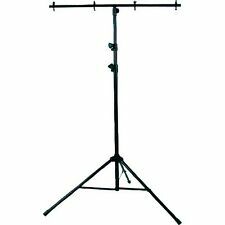 Brand Unbranded MPN Does Not Apply EAN Does Not Apply Type Bar Lighting Stand Main Color black Item Size 3*1.2m Features Foldable, Security Lock ,Height adjustable Bundled Items Fittings & Fixings. Brand Unbranded MPN Does not apply EAN 7636196798877 Color Black Model Number No. 6 Fixing points with M10 bolts & wing nuts. 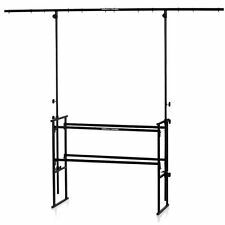 1.5m Square T-bar, suitable for fixing up to 12 PAR cans. Add to Favourites. 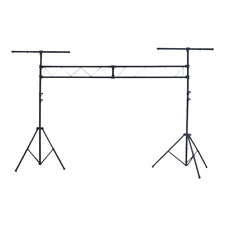 QTX Light Triangle Lighting Disco DJ Party Stand Truss System 3.0m Gantry. 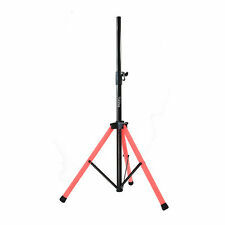 2 xQTX WIND UP LIGHT STAND - HOLDS UP TO 50KG. weight load 50kg. Fits 35mmØ top hat. Weight 12kg. 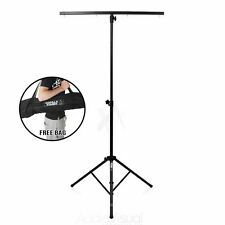 LEDJ Double Sided Disco DJ Party White T-Bar Lighting Tripod Stand Cover. 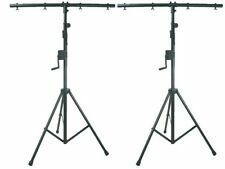 A Professional lighting design from Athletic, this high quality stand consists of two trussing traverses making a total length of 3000mm mounted on supports, and two lighting stands. 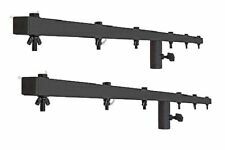 This kit allows installation of up to 8 points of light, allowing users to be innovative with their setups in order to create stunning visual performances for their audience. 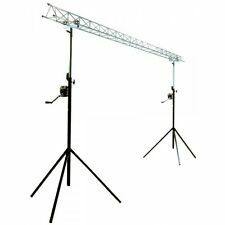 Installation is made easy with this glorious lighting kit, making it perfect for professional stage performances. Features: 100% brand new and high quality! Tough construction. Height adjustable. Quick and easy to setup. Lightweight & portable. Perfect for mobile discos & bands, etc. Specifications: Color:Black Size:3*1. A Unique and innovative, variable height podium stand in white with 2 different scrims with adjustable height podium for a stable display of moving heads, lighting FX, monitors, speakers, etc. 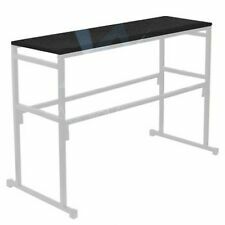 A unique new design that needs no tools for assembly and designed for maximum stability even at its top height of 1750mm Easily assembled for temporary or permanent placement. Material steel & magnesium. 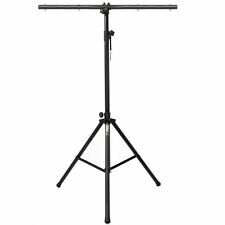 Athletic Lighting stand LS-4. Leg spacing 1200mm. Load capacity 30kg.